We&apos;ve crafted this reduced sugar ready-to-drink spritzer to be enjoyed as a dry, thirst quenching refresher. Featuring fermented root ginger with lightly sparkling water and a touch of lime, it is ready to drink and share with a friend. Great with some ice and sometimes a dash of something stronger! Gently shake to blend natural ginger sediment before drinking. Refrigerate after opening. Ginger beer brings back childhood memories for me as my Dad used to make his own ginger beer down in the basement. I have fond memories of him tucking me up on the couch with the tv on, sipping on a glass of ginger beer as he continued to make more. 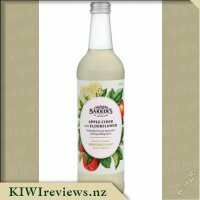 Funnily enough, after receiving this Barker&apos;s ginger beer with lime I soon found out that my Dad has tried it and loves it! We headed to the supermarket on Christmas Eve as he had arrived from Christchurch the day before. We were making our way through the fruit and vegetable section when he noticed that the drinks shelf was next to where we were. He went straight up to the Barker&apos;s drinks (I knew that it was them with their familiar labels from having this and other Barker&apos;s drink products in my fridge) and started to search through. He found the last two bottles of the ginger beer with lime and added them to our trolley. Upon telling him that I have one at home to review he told me he really loves them as they don&apos;t have the bitter taste that many ginger beers can have. He prefers the milder ginger flavour. After receiving this review from Dad I was quite excited to try it for myself. 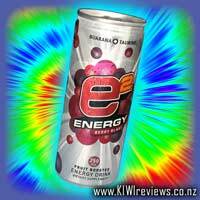 As soon as I had photographed my KIWIreviews box I put the bottle into the fridge. Even though it says to refrigerate after opening, I wanted to chill the drink down as drinking warm ginger beer certainly didn&apos;t seem appealing! A couple of days later I came back ready to try it. Reading the bottle it was easy to see that this product was ready to drink, which I was a bit surprised about as in my mind Barker&apos;s drinks are usually a concentrate that needs to be mixed with water. It is nice to have a ready to drink option, as it means this is something I would be able to grab from the shop on the way to a bbq or gathering with friends and/or family. Upon opening the bottle there was a slight fizz sound as the gas was released, but it wasn&apos;t overly noticeable so I figured that the drink was only lightly fizzy. The smell of ginger was there, but I certainly couldn&apos;t smell the lime. As I took a sip I was quite surprised. Dad was right, there certainly isn&apos;t an unenjoyable bitter taste to it, it is nice and smooth and very lightly bubbled. The flavour of the ginger is very prominent and an ever so slight taste of lime. It was definitely a very nice drink. I had bought a bottle of diet lemonade so that I could try it with this, just to see what difference it made to the drink. I put some ice in a glass, half filled it with the ginger beer and then topped it up with the diet lemonade. This certainly brought the bubbles that I felt it was missing, as I do prefer my ginger beer quite bubbly. Overall the taste didn&apos;t change a lot. It was still definitely ginger beer, although the lime had disappeared completely. The lemonade made it ever so slightly sweeter in taste, but in my opinion it was very nice and how I preferred the drink. If I was to buy it again, I would mix it with diet lemonade again. Ginger beer for me is a really nice alternative to alcohol at gatherings in the summer such as barbeques, birthdays and holiday catchups! I remember my Mum always having it as her treat - and me begging to be able to have some. Fast forward a few years, and the same is being repeated in our house now - with my own children desperate to try mine! I was excited to try this as the lime with the ginger beer sounded like a nice addition! 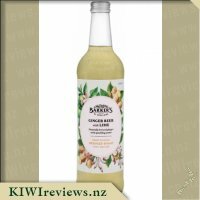 I photographed my items from the KIWIreviews box then put my bottle of Barkers Ginger Beer into the fridge - warm ginger beer is not an acceptable thing to drink!! That afternoon I decided to crack it open as hubby arrived home. I offered him some as he always likes to try my review items and has in fact been known to give a good description of the products and there taste. 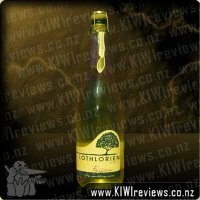 I initially thought that this was a concentrate like what I had seen on the shelves in the supermarket, but the shape and size of the bottle were not consistent with this - so I read it properly and discovered it is a ready to drink one - with a very good size of 500ml, which is recommended to be drunk in 2.5 servings. I cracked open the bottle, which was extremely easy, and heard a slight "fizz" sound, so I expected as I poured it into my glass to see bubbles. 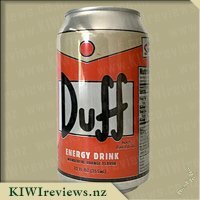 I was pleasantly surprised and glad that it was not overly fizzy, as I am more partial to lightly carbonated! The first sip was great - not too bitter and not too sweet - it has the perfect balance, and I love it!! I have since purchased more and made it into iceblocks for me, which everyone in my opinion should try! The children wanted a taste too so I was a kind Mum and let them. Miss 9 and Miss 6 really liked it - remarking similar to me, that it was not to sweet or bubbly - they are not bubbles fans. Master 4 on the other hand - not a winner with him, but hubby gratefully accepted and drank his glass and even wrote it on the shopping list, so definitely a winner with him! 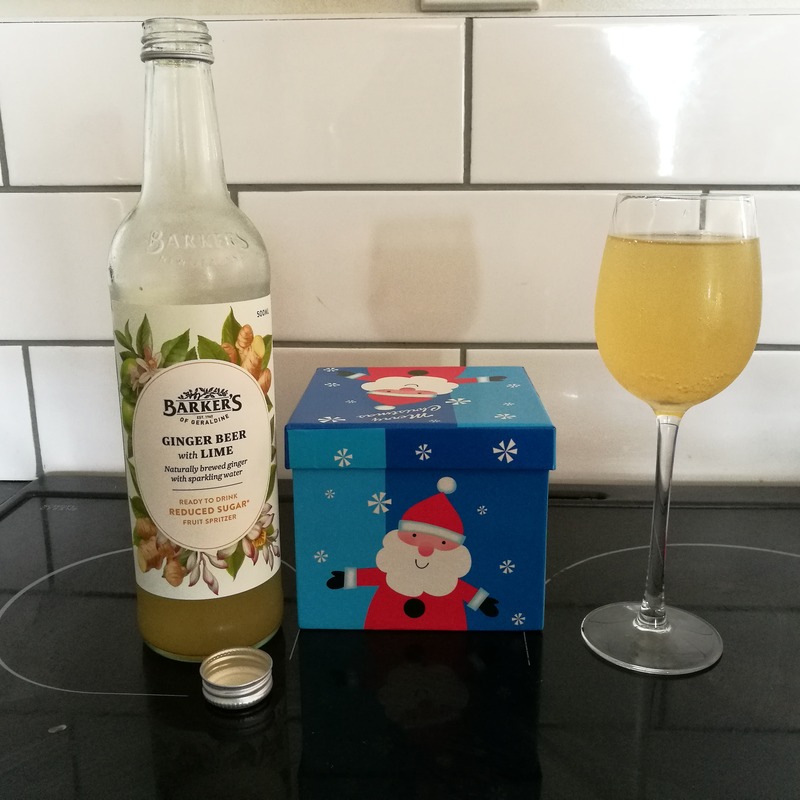 I have already purchased this again, and will continue to buy it - I do want to try another flavour - the Apple Cider with Elderflower is top of my list. 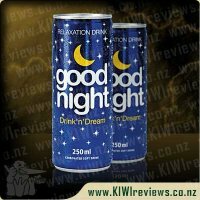 Huge thumbs up from me - a tasty, not overly sweet non alcholic drink that does not cost the earth - fantastic! 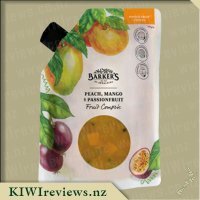 Thanks Barkers and KIWIreviews! 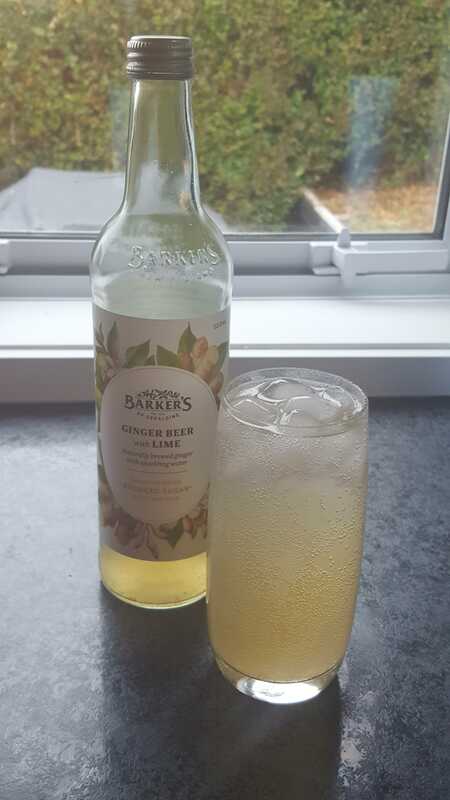 Barkers produces real quality products, and I have to say their Ginger beer with lime is exquisite. The taste is not a traditional ginger beer flavour, nor is it how I would assume a ginger beer and lime combination would taste. I have consumed two glasses off this while I write this, and I still can&apos;t eloquently state the flavour as such. To me it is reminiscent of traditional old school drinks, it has such a refreshing after taste, and it is refined, a drink you could offer to someone who perhaps isn&apos;t consuming alcohol, but is looking for a sophisticated drink. 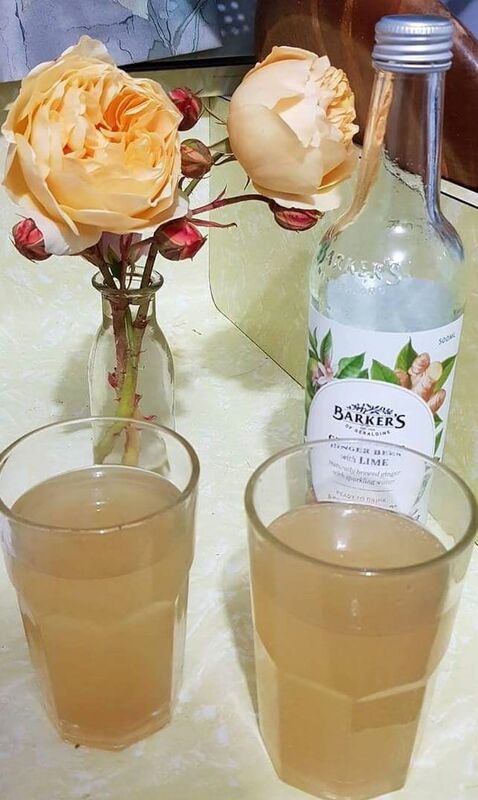 I poured a glass for the family members on a hot day, the younger one enjoyed it, but didn&apos;t love it, the older one (fifteen) asked where you could purchase it for when she went out with her friends. 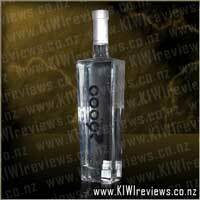 I had to buy another bottle so that I could try it with a nip of something in it, - I googled the best pairing with ginger beer, and came up with the &apos;Moscow Mule&apos; Ginger beer, lime, and vodka, a dash of vodka and ice, was all that was needed to complete the recipe, and it was delightful for a hot summers day. 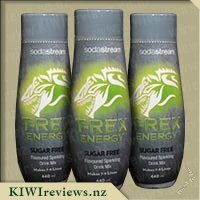 The drink tastes as if there is nothing nasty added to it, and when you read the ingredients it is a quality product free of any chemical enhancers. The bottle is glass and is recyclable which is fantastic, and a good size for sharing, and being glass it&apos;s also easy to chill and take in a picnic basket, which with the summer season upon us is an essential requirement. 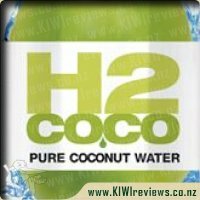 I would recommend trying this drink if you have a penchant for lime drinks, if you are only a ginger beer fan this probably isn&apos;t the product for you. I love ginger beer; the strong flavour, the carbonation, the tingling burn you get when you consume it, it all adds to the fun and experience of it. 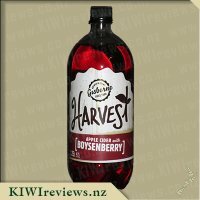 I&apos;ve known Barker of Geraldine to dabble in drink beverages before, with concentrates and syrups, where you choose your own strengths of drinks. I&apos;m never any good with those style drink as I always overpour, and end with only half the servings I was meant to have from the bottle. And to be honest, I originally thought this product was a concentrate too. 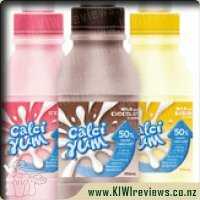 It wasn&apos;t until I read the nutritional information and noticed that the 500mL bottle only had 2.5 servings in it. It caught me off guard. 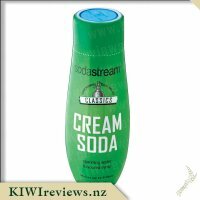 I was still pleased with the product, as $3.90 for 2.5 drinks is great value (for ginger beer), but I was still surprised; perhaps in part due to the similarity of the appearance of the packaging...or perhaps I just need to read things more thoroughly. The big difference otherwise, is to note is that the beverage is ready-to-drink, so be sure to carefully upend the vessel to mix in any sediment. Don&apos;t just shake the bottle willy-nilly, or you&apos;ll have a little mess on your hands. It&apos;s a very simple product, just pour and drink. And with 25% less sugar, it&apos;s nice to know exactly how Barkers drinks are supposed to taste (as opposed to the double strength drinks I make from the concentrates). I love the label, how it specifically mentions being "Alcohol-free", while simultaneously mentioning how it goes well with "something stronger". They make sure you are aware of the lack of alcohol, without judging your potential use of it as a mixer. The flavour itself isn&apos;t too strong. It&apos;s refreshing and light, while still providing that tingling of the taste buds. It would be a good accompaniment to vodka or a white bourbon. But at that price, it can easily become a regular purchase with my weekly shopping. I grew up loving ginger beer, starting with gleefully getting half a glass when visiting my grandparents to being able to buy and enjoy some of my own. Bundeberg has always been my go to, that is until recently when it started giving me acid burn and I had to give it up. Seeing this, I was excited to try it and see if I might be able to enjoy a good ginger beer once more. There is no doubt this contains ginger, it&apos;s all settled nicely at the bottom of the bottle, but a nice and gentler shake will mix it back up and give you that nice ginger beer colour. Opening it I could smell the ginger and just the tiniest hint of lime. My daughters wanted to try some, so I gave them each a tiny taste. My six year old had a taste and promptly declared it to be too sour and rushed off for a cup of water. My eight year old enjoyed it and asked for more, so I happily gave her half a glass of it. After that, I was able to split the rest of the bottle between my mother and I. My mother found it quite pleasant and was glad it didn&apos;t give her acid reflux but whilst she would drink it if offered it, she&apos;s not going to go and buy some for herself. I personally found the flavour a little weak and just missing that little something that would have me buying it again. This still gave me acid reflux but about half of what I get from other brands. In short, a nice enough drink but not quite enough for us to buy. What initially attracted me to this product was the size of the bottle. It was big enough for two good sized helpings, and what better drink to serve chilled on a hot day? The ginger and lime fused into one distinct, mild flavour where neither the ginger nor the lime screamed out for attention. 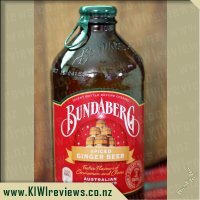 I found this a real plus because ginger beer can often be too piquant, leaving a stinging sensation on your tongue and stopping you from drinking it too fast. This product is one you can swig, making it ideal for times when all you want is a nice long drink. The appearance of the contents was that of a home-made brew. There was a light sediment in the bottom of the bottle, just as you get with a ginger beer you make yourself, and it swirled around when the bottle was moved. The instructions on the label warned you to shake the contents to mix them before drinking; when I did this, the sediment mixed in and the drink promptly took on the cloudy appearance of a true ginger beer. The flavour, too, was mellow, and enhanced by the chilling process. We had the drink with some enchiladas which I had made previously and retrieved from the freezer because I thought they would go well with the drink. No point in doing a lot of cooking on a hot day when you can be enjoying the sunshine. We both liked the combination as the enchiladas, too, were mildly spicy but they still allowed the ginger and lime to assert themselves. I usually like a cold lager with enchiladas, but this combination was as good if not better. My companion has a sweet tooth, but she found there was enough sweetness in the mixture to satisfy her sugar addiction - and that is a statement in itself! 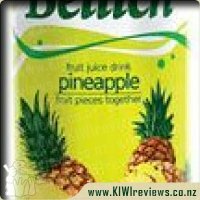 In view of the fact that this drink contains a lot less sugar that other similar drinks, it is interesting that certain food combinations can make the consumer think they are sweeter than they really are. That is the case here. There is certainly some sugar included, but fermented ginger, like other fermented products, has a natural sweet aftertaste which has translated into the mix. Artificial sweeteners always have an aftertaste which is reminiscent of tin sprinkled with epsom salts, so Barker&apos;s decision to use a smaller amount of sugar is a good compromise - better for the teeth, and better for the health generally.